Note: I wrote this as a contributed article a few years ago for a consulting client, but they decided not to use it. Instead of letting it collect dust, I published it here. Enjoy! The term “Big Data” has been gaining momentum in all aspects of business, especially with web analytics, mobile, social media, and customer data. And, it’s usually used in the context of impending doom and mixed with cryptic terms like Hadoop, MapReduce, and “in-memory database.” It’s becoming so pervasive that Gartner’s 2012 Hype Cycle for Emerging Technologies has it entering the “peak of inflated expectations,” a sure sign of hysteria. When it comes to marketing, however, massive amounts of data—whatever you want to call it—are becoming a fact of life with which marketers need to be concerned. But what is it and how do you leverage it to enhance your marketing efforts? Big data is generally defined in terms of volume, variety, and velocity. From a marketing perspective, you’re already collecting reams of data on every prospect or customer during even just one visit to your website. Couple that with the variety of customer touch points—purchase, email, advertising, support, social—and you quickly realize that even a small business is collecting data on a massive scale. The velocity, or speed, of data collection is also accelerating, especially as smartphones, tablets, and other technologies continue to weave their way into every aspect of everyday life and ease a potential customer’s ability to interact with your brand. As the challenge of big data grows, marketers are told that they’ll need huge IT investments to collect the data, expensive and complex analytics tools to dig into it, and legions of data scientists to understand it. Furthermore, most of the big data focus from those developing the technology is given to the back-end, with “speeds and feeds” being touted and novel software architectures promoted as the great new hope for attacking big data. So where should marketers focus? CIO magazine recently covered how marketing departments should roll big data analytics into their marketing strategies. While they go a bit deeper than a marketer might need, they do suggest that you focus on the most basic of marketing concepts: What do my customers want? It’s a common misconception that your big data is elusive and that you’ll need a huge project to even gain access to it. In reality, most marketers already have access to the data they need, usually within the tools that collect it. Finding the low hanging fruit in your data is as simple as segmenting your targets based on specific attributes, like preferred channels, content consumed, or recency of engagement (or purchase or click). Since most marketers aren’t data scientists, it’s going to require a few trials to understand what your data can do for you. Don’t be afraid to dig in to it and ask questions of it. Think about the last time you said, “If only we could do X…” and use that as your first project. Forbes magazine, in an overview of big data business challenges, stated that, “Successfully exploiting the value in big data requires experimentation and exploration.” Take that experimentation approach and start looking for ways to intelligently segment your customers into groups that you can then easily target. It’s not so much what you do, but that you do something, do it now, and learn from it. Why put in this early effort to see what’s possible? Because there’s a huge amount of value in your marketing data. So much so that it’s easy to justify an investment in analytics. A mid-2012 report from Aberdeen Group, “Customer Analytics: Leveraging Big Data to Achieve Big Results,” shows that companies who optimize their customer analytics have revenues 90% higher and retention rates 3.5x higher than companies who don’t. Even more, they see customer lifetime value growth of 20% annually. That’s a great start to help you calculate an ROI to justify resources for your customer data. 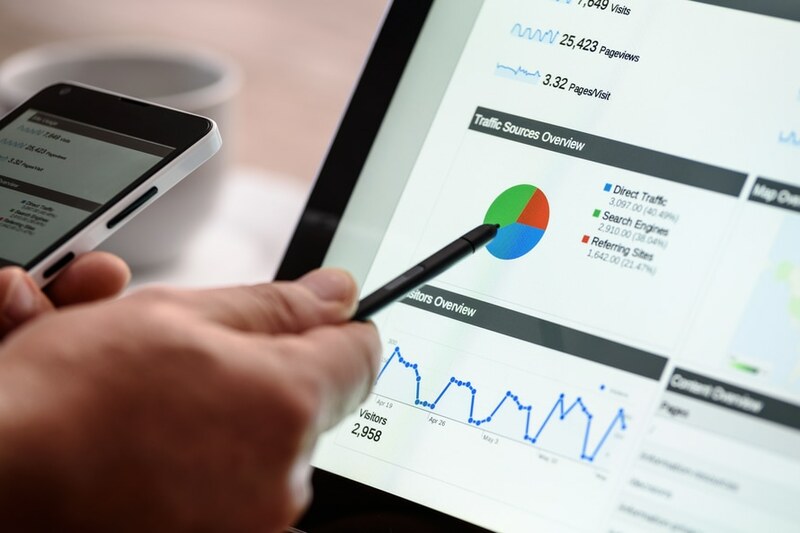 As previously mentioned, each of your current marketing tools undoubtedly has some sort of reporting or filtering functionality, which is a great place to begin looking for ideas. However, few of those stand-alone tools go beyond simple reporting. And, fewer yet enable marketers to integrate data from multiple systems. Instead, and as you grow your customer knowledge and see how it can impact your revenues and attrition, start to seek out tools that have the capabilities to dig into more data from multiple systems at a faster pace. Big data is volume, variety and velocity, so make sure that you’re thinking ahead and will be able to manage all three of those areas. Also, beware of analytics that claim to integrate data but do so by aggregating (summarizing) it, thereby blocking you from the post-analysis targeting of individual customers. It’s great to discover that you have 50,000 customers ready to purchase, but unless you can target them individually, that information is virtually worthless. Regardless of your capabilities, your marketing data mountain is becoming bigger by the second. The way to get a handle on it is to start digging into it now. Understand what you have, what you can discover with your current tools, and what other capabilities are needed to wring out the value. As with most professions today, marketing is becoming increasingly digital. More data is collected, more interactions are measurable, and more options for engaging with targets are available. Each day that you delay, your big data mountain buries you a little bit more. Need help? Here’s an assignment: How many customers made a purchase in the past month? Or, how many of your active prospects visited your website last week? If you can’t answer those questions in a few minutes, you should have an urgent talk with your manager tomorrow.